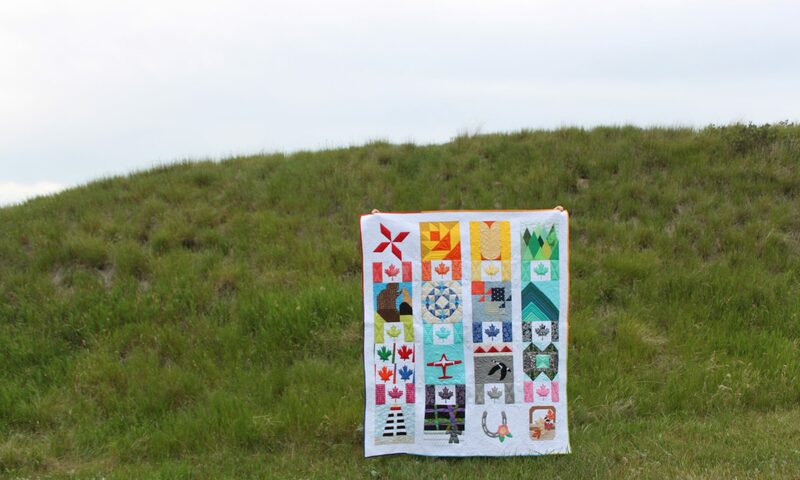 A blog about quilting both as a hobby and as a business. Shamrock Pin Cushion for Luck on St. Patrick’s Day and All Year at the sewing machine. In 2014 made up this cute little shamrock pin cushion and it was a quick and easy little project. I have just given it a refresh and re-posted it because it was hidden at the bottom of my Tutorials page and no one could find it! This post contains an affiliate link to Amazon for the fusible product I used. Here’s how I made it if you want to make one too. – Thermoweb Heat’n Bond Lite Iron-on Adhesive or your preferred fusible for fusing your shamrock to your top charm square. I Googled “Shamrock Line Drawing” and found the little shamrock here. I printed it out and it was just the right size! Carefully cut out along pencil lines and peel the paper backing off. Fused the shamrock to the charm square that you want for the top of the pin cushion. The charm square on the right is the one for the bottom of the pin cushion. If you want to hand stich around your shamrock you can do that at this point. Or if you are lucky enough to have a blanket stitch on your machine you could machine applique with that. Or zig zag stitch with your machine. You need to set the stitch length very low or almost zero to get a nice satin stitch around your shamrock and cover the edges. If you want raw edges that will fray you could just use a straight stitch very close to the edge of your shamrock with a small sitch length to keep the fabric from fraying past your stitches. Put your charm squares right sides together and sew a quarter inch seam around three sides and leave an opening for turning on the fourth side. Back stitch at the beginning and end of your seam. Clip your corners and turn your pin cushion right side out. Push out your corners and stuff with your choice of filling. I used crushed walnut shells (which you can find in the pet stores). Pin your opening shut and whip stitch closed. There you go! Best of luck to you with all of your sewing projects! Happy St. Patrick’s Day! So cute, thanks for sharing. Welcome to place to learn about quilting as a craft and as a possible self employment option. AnitaLaHay on What’s New So Far for 2019? jayne on What’s New So Far for 2019? A quilting blog and place to learn about quilting and self employment through quilting or other craft. Photos and copy, except where credited elsewhere, are copyright Anita LaHay 2011-2018.